Carrie interviews Mario Fraioil! Mario discusses how he got started writing, his passion for coaching, and the importance of fueling your body. Mario is a Bay Area-based running coach, writer, and podcast host. 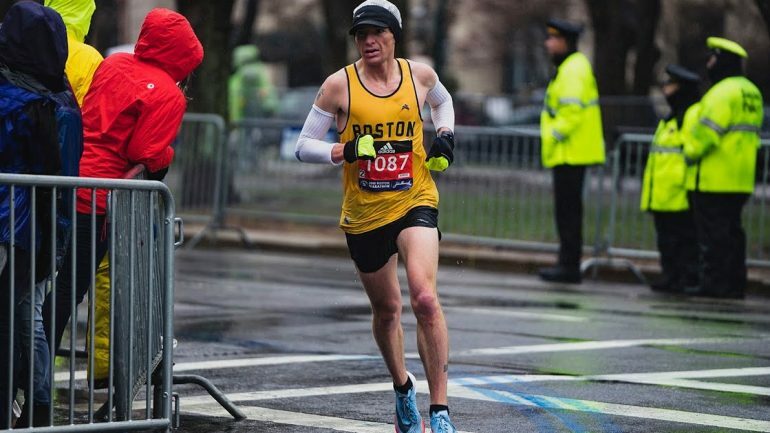 As a coach, he has guided athletes to personal bests, Boston Marathon qualifying times, national championship titles, Olympic Trials appearances, international podiums, world championship teams, national records, and even the Olympic Games. He also publishes the morning shakeout—a weekly email newsletter that covers running and other worthwhile topics—and hosts the podcast of the same name. Mario was the senior editor at Competitor magazine from 2010-2016. His work has also appeared in Running Times, New England Runner, Triathlete, and other publications. In 2013, he authored his first book, The Official Rock ‘n’ Roll Guide To Marathon & Half- Marathon Training. As an athlete, Mario was an NCAA Division II cross-country All-American at Stonehill College in 2003 and has raced competitively from the 800 meters to ultramarathon distances. He has personal bests including 4:09 for the mile, 2:28 in the marathon, and 7:59 for 50 miles. A native of Massachusetts, Mario spent a few years in San Diego, and currently lives north of the Golden Gate Bridge with his wife Christine, their four bikes, and dozens of pairs of running shoes.